Image Courtesy: Amit Chacko Thomas. A holiday to Goa isn’t all about the beaches; there are many things to see here. Here you will find historical landmarks and amazing nature bundled in one package. Goa is one of the world’s most appealing holiday destinations, well-known for its marvelous and endless stretch of finest beaches known to man. If you plan on spending most of your time at the Goa beach then don’t forget sunscreen. It will help you from sunburn. In case you do forget though, there are plenty local pharmacies and shops available where you can purchase one. The white sand of Goa beach reflects a lot more sunlight and it hurt the eye a lot more. To protect your eyes from the sun’s harsh UV rays have a sunglasses, preferably with a mirrored finish or Polaroid sunglasses. Mosquitoes are everywhere in tropical country and Goa is no exception. If you are planning to do outdoor activity after sunset, carry an insect repellent to be safe. Always keep yourself hydrated with water, fruit juices or coconut water. At all times, avoid drinking tap water, as it is not suitable for drinking purposes. Many restaurant offer bottled water as an option. Always listen to the lifeguard when you are at beach. The waves might look inviting & calm, but sometime there could be strong current beneath. Wear clothes and footwear that are appropriate to both the climate and the activities. Carry a pair of comfortable footwear that cover your toes and are waterproof as well. For ultimate Goan experiences try the Saturday Night Market in Arpora. 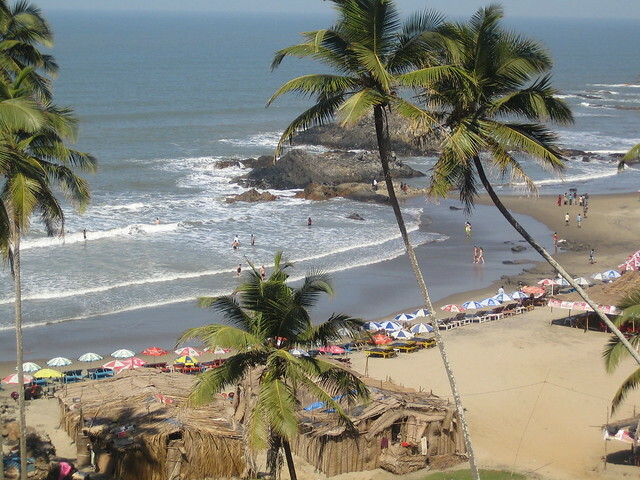 In addition to its hustle and bustle you’ll encounter true impressions of Goa. Indian west coast is famous for its spices. You can learn a lot about spices at Sahakari Spice Farm & Tropical Spice Plantation. It is not only educational but also fun experience. The long period of Portuguese rule, besides that of the Muslim and Hindu kingdoms, has left an indelible influence on the original style of Goan cooking and this has led to an exotic mix of truly tasty and spicy cuisine. During your visit you better not miss it. It is important to know that there are countless things to be discovered beyond the beach. One of my favorite historic sites is Basilica of Bom Jesus, Fort Aguada, Se Cathedral, Shanta Durga Temple. Visit them & explore old Goa. Goa is synonymous to many things that are indicative of a life without worries and carefree measures. Be it the parties, the casinos, the flea markets or the beach shacks—Goa is to India what Ibiza is to the world. Interesting tips! Very useful and thanks for stopping by my blog! Be careful for your next trip. Goa is a classic destination where you get everything; from a beach walk to heritage site to a music fest to a party night. Thanks for your interest in our site. Do let us know if you like to have mutual backlinks. Thanks. I’d love to visit Goa… the food looks amazing!